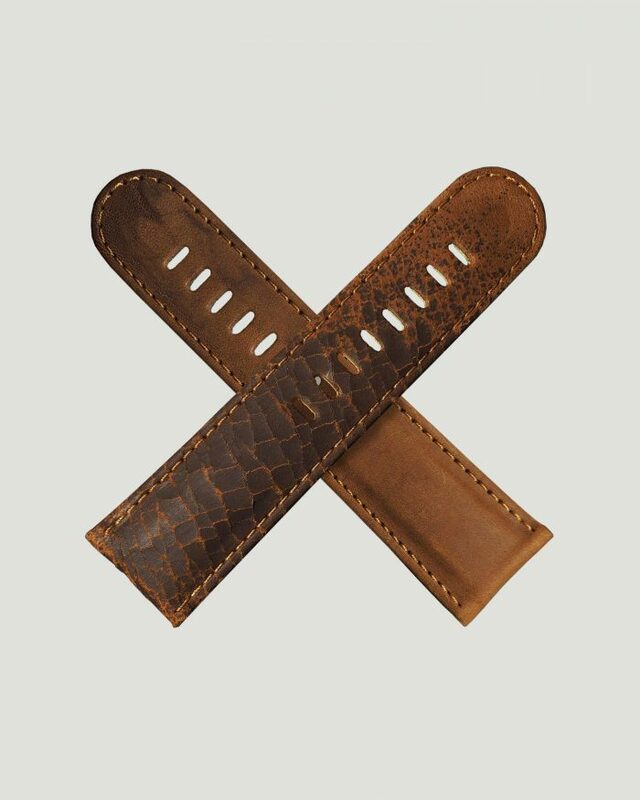 The leathers used in Schofield’s Tiger Loaf straps are tanned and prepared here in England. You can choose between cracked and smooth in the drop down menu. The cracked is more or less cracked and the smooth is more or less smooth. Every strap is different. All straps come with a set of our proprietary lug protection stickers. If you regularly change straps then we suggest you consider some Schofield drivers, purpose made for changing straps on Schofield watches. A note on Tiger Loaf leather characteristics and care: This is a very tough and durable leather which will become quite shiny over time. All of the colours take on a real depth of colour akin to fine and well worn Italian shoes. Avoid saturating in water. Use your neutral shoeshine to restore and polish. 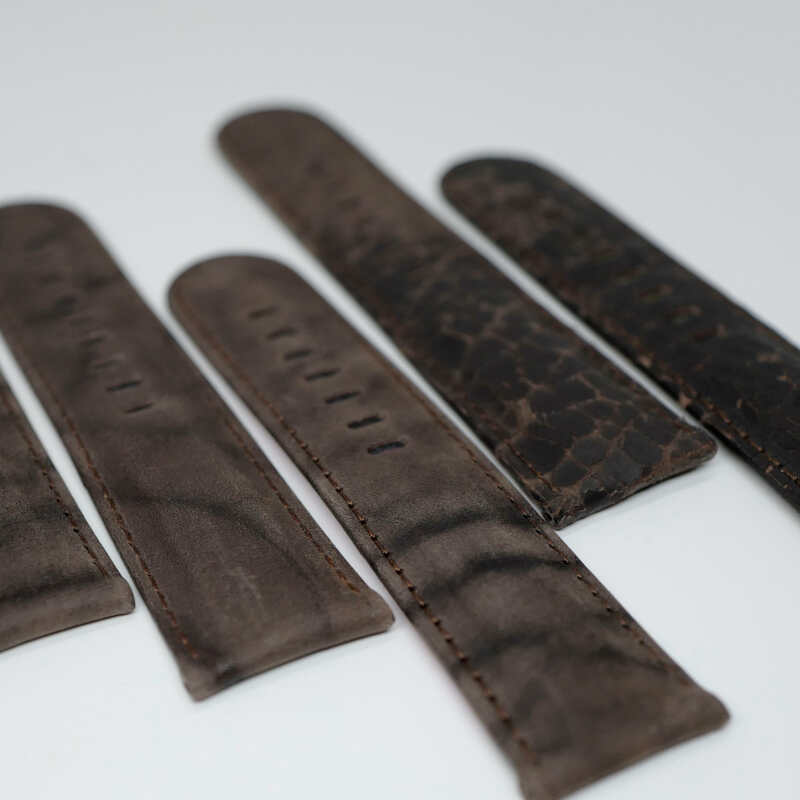 Schofield uses ethically sourced shark skin it is not CITIES protected, when these straps go they will not be remade. 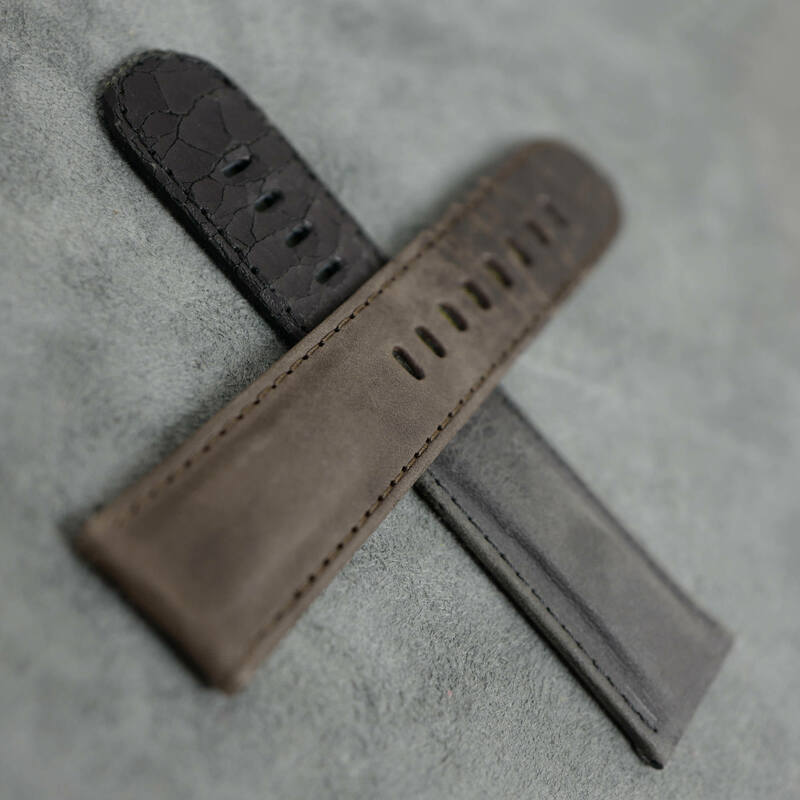 The sharkskin is the first strap we made, it is the original Schofield strap! All straps come with a set of our proprietary lug protection stickers. 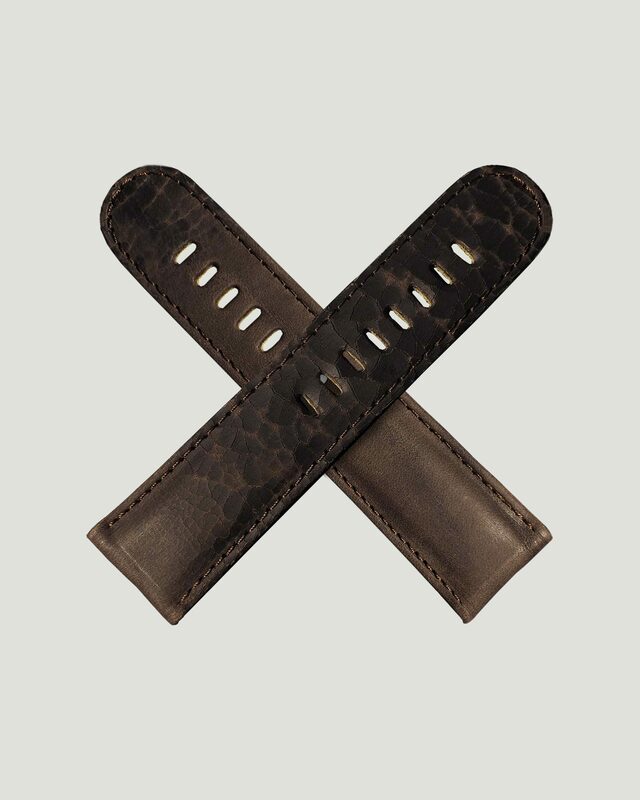 If you regularly change straps then we suggest you consider some Schofield drivers, purpose made for changing straps on Schofield watches.A buckle is not included. 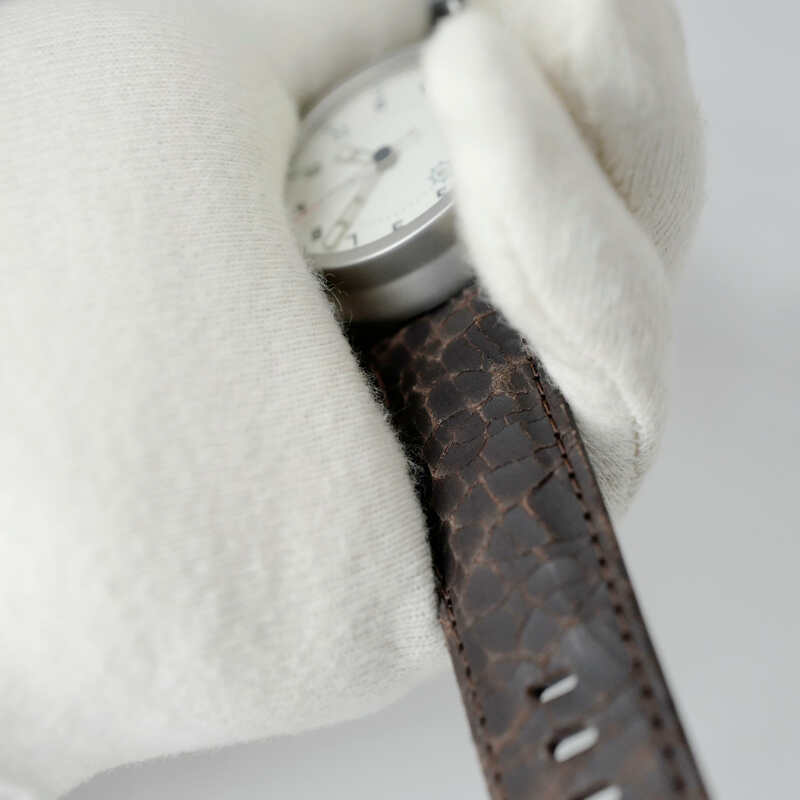 Schofield uses a thick Milanese suede for these remarkably soft and luxurious straps. This one is a muted green colour. All straps come with a set of our proprietary lug protection stickers. 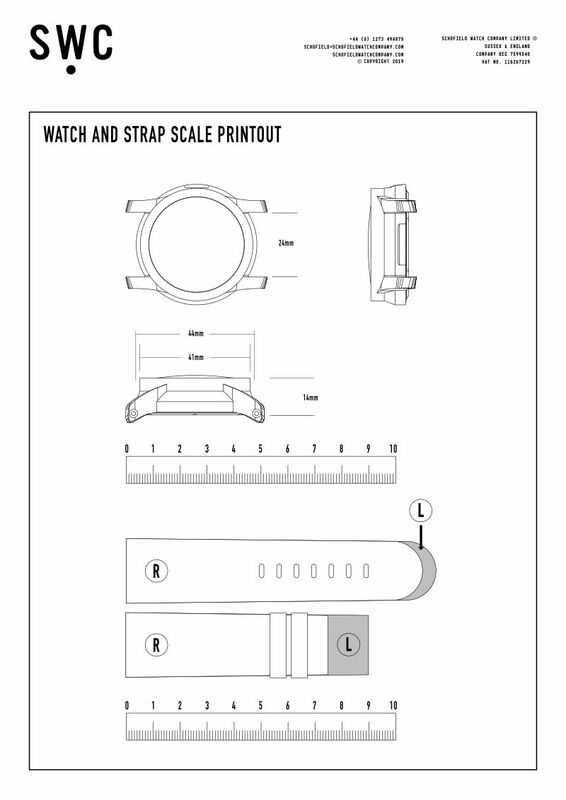 If you regularly change straps then we suggest you consider some Schofield drivers, purpose made for changing straps on Schofield watches.A buckle is not included. 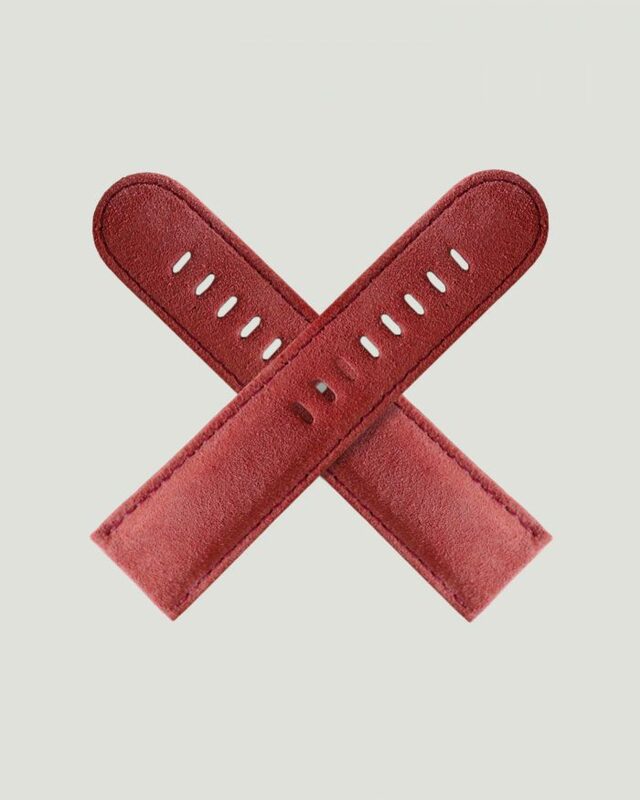 Schofield uses a thick Milanese suede for these remarkably soft and luxurious straps. This one is a bright pink colour. 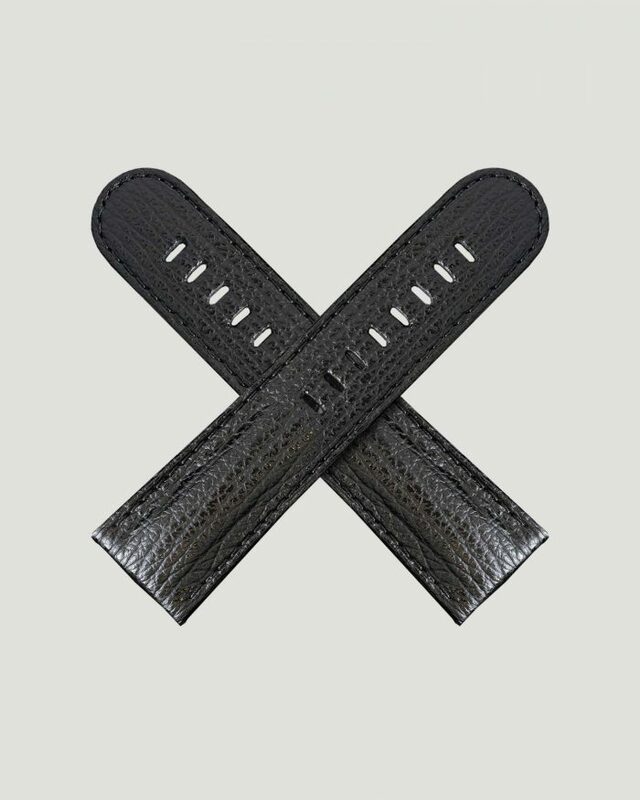 All straps come with a set of our proprietary lug protection stickers. 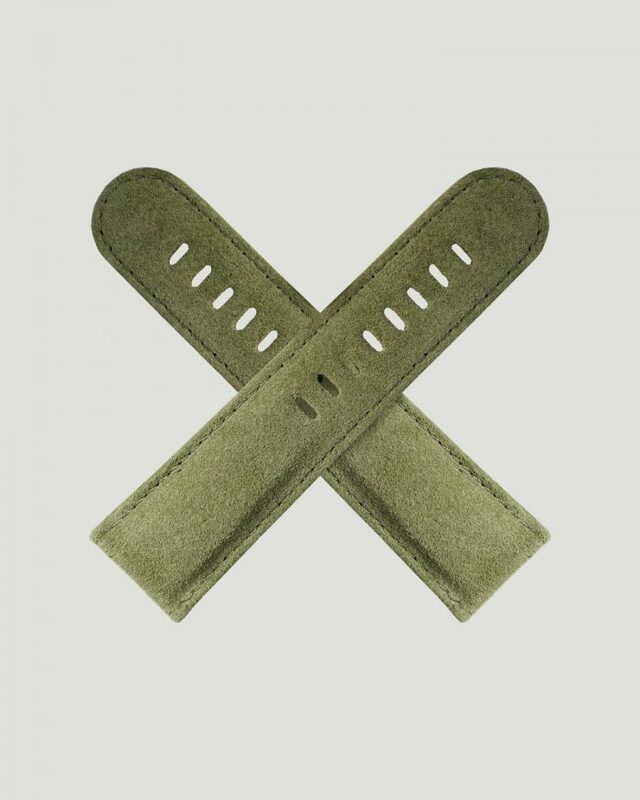 If you regularly change straps then we suggest you consider some Schofield drivers, purpose made for changing straps on Schofield watches.A buckle is not included.